Touch Liberia was Dignity: Liberia's response to the Ebola crisis that spawned a network of complex, life-threatening problems -- in addition to the dangerous virus. Money is needed for bulk supplies and shipping. 100% of all financial donations that we receive go to the people of Liberia. 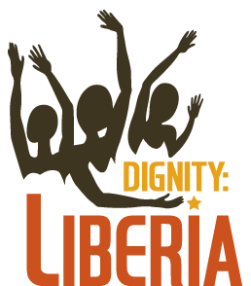 Dignity:Liberia is a volunteer-led organization. Show your care for Liberia and help us get others involved. Write “LIBERIA” on your hand, and post a photo on your social media account to encourage your friends to get involved. Invite others to join you in donating vital, basic health and food items for shipment to Liberia. Update: Since we began this campaign last fall, we have raised over $20,000 for towards the Ebola crisis which includes monies for food and supplies for Charles Luke Town and Lott Carey as well as fees for shipping the container full of food and medical supplies. Thank you! Please contact us to verify immediate items needed and our shipping schedule. Download these printable fliers and posters to advertise your collection drive.